When I first met her in Sofia in 2004, she was very young (about 4,6 billion years old). I took a picture of her in front of our school (127, Sofia, Bulgaria) using the school telescope. I have published it on the web and in the 'Telescope' newspaper. 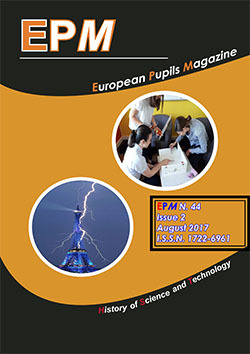 (www.eso.org/public/outreach/eduoff/vt-2004/photos/vt-photos-page33.html). Since then, I fell in love with her. She is a beautiful planet. I have had many meetings with her since then. I have seen her on the sky a thousand times from different places on the Earth. I realized that she is famous. At times she appears in the morning and that is why people call her Zornitsa (Dawn) or in the evenings, and they call her Vechernitsa (Evening Star), too. Our second meeting was in Zagreb, Croatia, on June 6th 2012, from 5h07 to 6h 55m looking forward to our second meeting, I couldn't sleep' I went to our meeting place (Opaticka 22, the Observatory of Zagreb), two hours earlier. Some other people also came to meet her there (see the photo). I took a picture of the sunrise and several more pictures of her. I took pictures of the people observing her. There I found out that the people from the Hawaii also love her (On the laptop we had an online broadcast of the event from Hawaii). The panorama was spectacular. Later, we went inside the cupola of the telescope to observe the way it passes through the Sun (called Venus Transit). But it was time to say goodbye. I felt jealous, because so many other people were also in love with her. (See the picture 'I Love You, Venus'). It was time to say Many Happy Returns. I saw a lady, she touched the screen and said 'There she is, the Venus of mine'. But I hope to see you again.